Pillar Post Archives | Cyber Security for Small businesses held at the Washington Post Live Center on Oct. 2, 2018, are terrifying. Every small business owner needs to seriously consider what would happen to their business if the energy grid goes down. Arthur H. House, who is Connecticut’s chief officer for cybersecurity risk said that the state of Connecticut is already under attack. Connecticut utility companies experience more than a million daily probes of their operating systems from unauthorized users that include hostile, foreign attackers. These probes are the ones that were detected and deterred. It is not known what amount of probes go undetected. What is known is the number of daily attacks is exponentially increasing. U.S. Homeland Security Secretary, Kirstjen Nielsen, referred to the Russian hacking efforts as preparing the battlefield for a major attack. Karen Evans, who is in charge of energy security and emergency response at the U.S. Energy Department, said that our electrical grid and energy infrastructure are the primary targets for hostile cyber attacks. General Petraeus former CENTCOM commander and director of the CIA said that if an extremist group obtains the ability to attack and shut down a major portion of the American energy grid and keep it down; this is the equivalent of being hit with a weapon of mass destruction. With a natural disaster such as a major hurricane, there is a limit to how long the event lasts. With a cyber attack on the energy infrastructure, the attacks may continue and return multiple times. They may begin in one part of the country and spread across the rest of it. American small business owners need to plan for the worst-case scenarios that do not solely rely on your local power grid. Sentree Systems helps clients with data protection by storing critical system-backups off-site and in multiple redundant locations, which increases your chances of a faster and complete restoration. Alternative energy systems, such as solar panels that work with enough batteries for power storage can also help lower these risks. Consult with Sentree Systems to make a plan for what you are going to do if the grid goes down. Even though many companies may be working with smaller overall IT budgets, the portions of these IT budgets that are allocated towards security is increasing. This is happening because the perceived risks and the actual risks are growing dynamically. It is a matter of self-defense. It is important not to be wasteful in planning for IT security and make sure the application of budgeted funds is producing the best results. Security system redundancy and system sprawl across multiple networks are common problems. This not only costs a company more; it can actually increase the security risks that the security systems are trying to reduce. Such wastefulness and any security gaps are uncovered by a comprehensive IT security review by Sentree Systems serving customers in Indianapolis and all across Indiana in cities and towns like Plainfield, Noblesville, Avon, Carmel, and Fishers. Work with a single IT security vendor like Sentree Systems that provides a comprehensive solution. Reduce redundancy in security systems to have a more cost-effective solution. Conduct regular security audits to uncover problems proactively before a disaster occurs. Make the security audit recommendations and fund them with the proper amount of budgeted support. By working with a single-solution provider like Sentree Systems, a cost-effective security program can be put in place that reduces wastefulness and gets the job done. Email info@sentreesystems.com or call 317-939-3282 to schedule an IT security review. Not all things need to be online. In fact, there are some systems and information that should never be online and instead be secured by a private offline network. This strategy is known as using an “air gap” between systems and the public Internet. Using an offline network for critical path functions and data security reduces the risk of a data breach. This is an excellent strategy, however, it is not 100% secure. In any security review, the IT security experts look at outward-facing systems that connect directly with the Internet, opportunities to manage system networks offline to improve security, and the risk of “human engineering” hacking attempts. Human engineering security breaches come from the tricking people into doing something that allows a security breach. Using an air-gap strategy needs to be enhanced with increased personnel security, such as extensive background checks, limiting personnel access to systems, and physical security barriers to access sensitive data. Any organization that handles personal data, such as credit card information or medical records, has a severe obligation to make sure the data is protected. Access to this information should be managed on a need-to-know basis. For example, credit card data only needs to be used for secured transactions. If it is stored by a company that information should be stored offline and secured by encryption. For medical records, there are severe penalties for data breaches under the Health Insurance Portability and Accountability Act of 1996 (HIPAA). In some cases, these penalties have been in the many millions of dollars. This means anyone handling such data needs to protect it like they are guarding the gold at Fort Knox. This is the kind of information that benefits from offline storage using a private network, with point-to-point information tunnels that pass data from one place to another only when it is encrypted in order to only permit authorized access to the data. The risk of experiencing a data breach when there is unnecessary exposure of data to the public Internet can be better managed by taking the sensitive data offline. Consult with Sentree Systems about how to manage an online presence combined with a private offline network for better security. Every business of any size can benefit from this approach.The U.S. Department of Health and Human Services maintains a database that tracks every data breach of medical records where more than 500 records have been compromised. SafeticaUSA reports that, during 2016, the data breaches were caused by improper disposal of memory storage (2.3%), loss (5.4%), theft (19%), hacking (31.8%), and unauthorized access/disclosure of information (41.5%) by employees, which happens sometimes by accident. Misuse of this information obtained by a data breach is rampant. Criminals can use this personal data in many nefarious ways including blackmail and identity theft. Businesses that do not protect personal and private data are liable for its misuse. They can face fines and civil lawsuits in the multiple millions of dollars. The SafeticaUSA study noted that the average cost for a single data breach is $7 million and that 100% of businesses share business data in ways that are not safe. When employees leave a company, 87% of them take company data with them increasing risk exposure. In the SafeticaUSA study of medical record data breaches, which reviewed the occurrences in 2016, California was the state with the largest number of incidents, followed by Florida, Texas, and New York. Indiana came in fifth place by having 12 major data breach incidences during 2016. 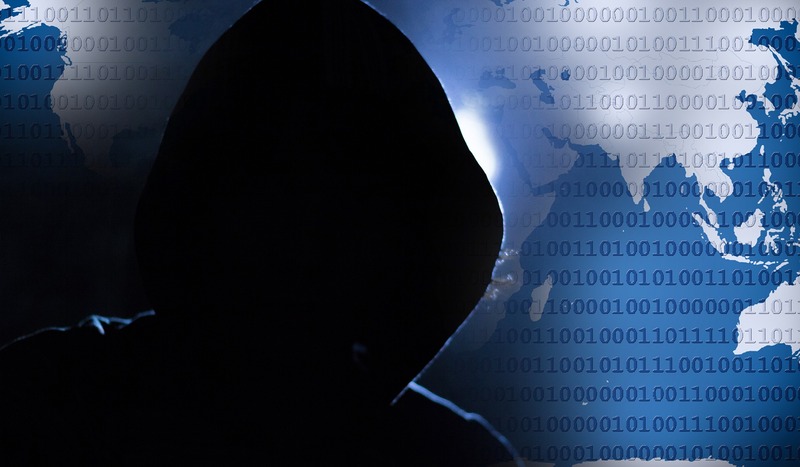 In terms of the number of compromised private records, the state of Indiana, with 257,174 records breached, was in tenth place on the list of states with the highest number of data breaches. It does little to stop a security breach if the entire focus is on external attacks and the security breach comes from within. Authorized users have been known to simply make copies of sensitive data files and walk out the door with them. Disgruntled employees can wreak havoc on data security when leaving a job. Best practices include using high-quality background checks, restricting access to data on a need-to-know basis, and being able to immediately terminate access for any user. Ransomware is a type of malware that when a user downloads it, it installs itself, and then encrypts the data on a system to lock the users out. An extortion demand is made for a payment in anonymous cryptocurrency like Bitcoins in order to get the encryption key to unlock the data. These extortion demands range from a few hundred dollars to millions. There is not even a guarantee that paying the ransom will get the data back. Best practices to avoid this risk are to maintain real-time data backups that are made and then kept in protected storage offline. If a ransomware attack occurs, these backups can quickly bring the organization back to current working-status. All external-facing systems need to have a two-step authentication process using one-time use authentication code for the second step. The benefits of this strategy are significant in blocking unauthorized access. The way it works is an authorized user logs in with a complex password and then the second step sends a text message to a secured mobile device that is used by that person to complete the login process. If the mobile device is lost or stolen the second-step is canceled. Sentree Systems Corp. is a highly-qualified data security consulting company that works with small businesses in Indiana, serving Indianapolis and the surrounding areas including Avon, Carmel, Fishers, Plainfield, and Noblesville. Every business should assume they have either been attacked, are being attacked, or will be attacked. Fast detection and swift response are the small business owner’s only defense. Contact us today to learn more about these strategies at www.sentreesystems.com [contentblock id=72 img=gcb.png]Data Security is improved by taking a data-driven approach that addresses security issues that are uncovered by a review of security risk data. For example, allowing employees to continue to use software that has known vulnerabilities, which has not had the most recent security patch applied, is a risk that is unnecessary. The United States Is a Big Target for Cyber Attacks on the Energy Grid and the reports that came out of the recent 2018 Cybersecurity Summit held at the Washington Post Live Center on Oct. 2, 2018, are terrifying. Every small business owner needs to seriously consider what would happen to their business if the energy grid goes down. With a natural disaster such as a major hurricane, there is a limit to how long the event lasts. With a cyber attack on the energy infrastructure, the attacks may continue and return multiple times. They may begin in one part of the country and spread across the rest of it. American small business owners need to plan for the worst-case scenarios that do not solely rely on your local power grid. Sentree Systems helps clients with data protection by storing critical system-backups off-site and in multiple redundant locations, which increases your chances of a faster and complete restoration. Alternative energy systems, such as solar panels that work with enough batteries for power storage can also help lower these risks. Consult with Sentree Systems to make a plan for what you are going to do if the grid goes down. Even though many companies may be working with smaller overall IT budgets, the portions of these IT budgets that are allocated towards security is increasing. This is happening because the perceived risks and the actual risks are growing dynamically. It is a matter of self-defense. It is important not to be wasteful in planning for IT security and make sure the application of budgeted funds is producing the best results. Security system redundancy and system sprawl across multiple networks are common problems. This not only costs a company more; it can actually increase the security risks that the security systems are trying to reduce. Such wastefulness and any security gaps are uncovered by a comprehensive IT security review by Sentree Systems serving customers in Indianapolis and all across Indiana in cities and towns like Plainfield, Noblesville, Avon, Carmel, and Fishers. By working with a single-solution provider like Sentree Systems, a cost-effective security program can be put in place that reduces wastefulness and gets the job done. Email info@sentreesystems.com or call 317-939-3282 to schedule an IT security review. Not all things need to be online. In fact, there are some systems and information that should never be online and instead be secured by a private offline network. This strategy is known as using an “air gap” between systems and the public Internet. Any organization that handles personal data, such as credit card information or medical records, has a severe obligation to make sure the data is protected. Access to this information should be managed on a need-to-know basis. For example, credit card data only needs to be used for secured transactions. If it is stored by a company that information should be stored offline and secured by encryption. For medical records, there are severe penalties for data breaches under the Health Insurance Portability and Accountability Act of 1996 (HIPAA). In some cases, these penalties have been in the many millions of dollars. This means anyone handling such data needs to protect it like they are guarding the gold at Fort Knox. This is the kind of information that benefits from offline storage using a private network, with point-to-point information tunnels that pass data from one place to another only when it is encrypted in order to only permit authorized access to the data. The risk of experiencing a data breach when there is unnecessary exposure of data to the public Internet can be better managed by taking the sensitive data offline. Consult with Sentree Systems about how to manage an online presence combined with a private offline network for better security. Every business of any size can benefit from this approach. The U.S. Department of Health and Human Services maintains a database that tracks every data breach of medical records where more than 500 records have been compromised. SafeticaUSA reports that, during 2016, the data breaches were caused by improper disposal of memory storage (2.3%), loss (5.4%), theft (19%), hacking (31.8%), and unauthorized access/disclosure of information (41.5%) by employees, which happens sometimes by accident. Misuse of this information obtained by a data breach is rampant. Criminals can use this personal data in many nefarious ways including blackmail and identity theft. Businesses that do not protect personal and private data are liable for its misuse. They can face fines and civil lawsuits in the multiple millions of dollars. The SafeticaUSA study noted that the average cost for a single data breach is $7 million and that 100% of businesses share business data in ways that are not safe. 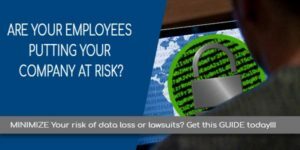 When employees leave a company, 87% of them take company data with them increasing risk exposure. Data breaches are a serious problem that puts every business at risk. Personal medical records are very vulnerable and the dangers are increasing. Proactive strategies to reduce this risk include conducting a data security Risk Assessment, implementing a data loss prevention solution, and advocating that the best practices are used for data security by affiliates, contractors, and business partners. Contact Sentree Systems for a Risk Assessment to improve security and reduce the chance of a serious data breach. The beginning of a new year is a great time to have a comprehensive data security analysis and to create a new strategic data security plan. There is plenty to be worried about when it comes to data security. Data security is something that needs to be constantly monitored in order to be effective. New threats are coming up every day. Luckily, a small-to-medium-sized business does not have to go at this alone. In fact, having a service contract with a specialist in data security is probably one of the smartest things a business can do. It does little to stop a security breach if the entire focus is on external attacks and the security breach comes from within. Authorized users have been known to simply make copies of sensitive data files and walk out the door with them. Disgruntled employees can wreak havoc on data security when leaving a job. Best practices include using high-quality background checks, restricting access to data on a need-to-know basis, and being able to immediately terminate access for any user. Ransomware is a type of malware that when a user downloads it, it installs itself, and then encrypts the data on a system to lock the users out. An extortion demand is made for a payment in anonymous cryptocurrency like Bitcoins in order to get the encryption key to unlock the data. These extortion demands range from a few hundred dollars to millions. There is not even a guarantee that paying the ransom will get the data back. Best practices to avoid this risk are to maintain real-time data backups that are made and then kept in protected storage offline. If a ransomware attack occurs, these backups can quickly bring the organization back to current working-status. All external-facing systems need to have a two-step authentication process using one-time use authentication code for the second step. The benefits of this strategy are significant in blocking unauthorized access. The way it works is an authorized user logs in with a complex password and then the second step sends a text message to a secured mobile device that is used by that person to complete the login process. If the mobile device is lost or stolen the second-step is canceled. Data Security is improved by taking a data-driven approach that addresses security issues that are uncovered by a review of security risk data. For example, allowing employees to continue to use software that has known vulnerabilities, which has not had the most recent security patch applied, is a risk that is unnecessary. It is surprising when an organization goes to the trouble to conduct a security Assessment, which should be done on a regular basis and then does not implement the recommendations. Executives may think that since the security Assessment was done, the security is improved. A security Assessment demonstrates an Impact vs. Likelihood that your organization will have a compromise in the near future, but does not actually stop a breach from happening. It is important to take the next steps of implementing security upgrades as well. By setting up Google alerts and keeping an eye on the latest Data Security News, helps increase awareness about security issues. An example of a Google alert is using the name of the software or IT service combined with the phrase “security flaw.” Moreover, there are industry security news systems that can be regularly checked for alerts such as the Security News notifications in the Security Education Companion. Organizations that do not have sufficient internal staff for these Data Security issues do well by contracting with an outsourced IT data security company to monitor them on behalf of the organization. Advanced Persistent Threats (APT) are socially-engineered attacks that are occurring on a continual basis. Examples of APT attacks included phishing where websites are faked to get people to enter private information, email campaigns that cause people to download attachments that are malware, or websites that load malware when a person visits them. Is Your COMPANY's Data on the Dark Web, Find out TODAY!!! GET YOUR FREE DARK WEB SCAN TODAY!!! Copyright © 2015 - 2018 Sentree Systems, Corp.. All rights reserved.